We are going to try something different here on the blog. I'm supposed to be writing here more regularly, however I'm not always up for a 1000 word essay on something important. So today is the inaugural Music Monday. In case it's not obvious, this means every Monday I will write about something related to music. The honor of being the subject this week goes to Jacky Dustin. In may surprise some that my tastes in music extends beyond metal. Country and metal really aren't that different anyway. Maybe I'll take that up as a subject of a future Music Monday post. The August is no more, however I was following Jacky on social media so I was excited to see her pop up in 2016 with a crowdfunding effort to produce a solo record. I ponied up immediately, and the record finally dropped last week. I was secretly hoping for The August part III, but I wasn't surprised at all that she took it in a more country direction. She is living in Nashville after all. 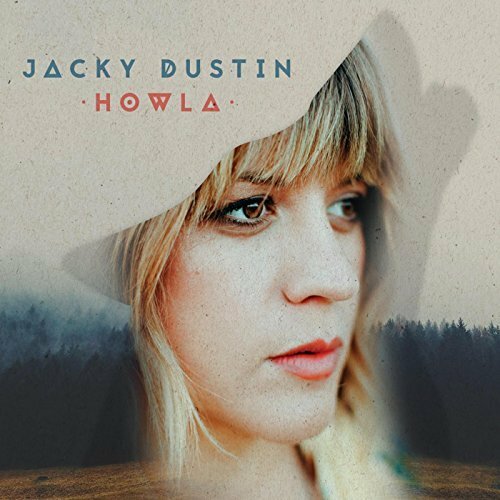 On Howla, Jacky has delivered a fun tour of modern country music, showing off her versatility by nailing a wide range of country musical styles. The first song, Make Me Wanna Stay is the reminiscent of her country tinged pop-folk work with The August. But then she also gives us This American Life, which I was so sure was a Kenny Chesney cover I Googled it before I wrote this sentence. It's not - it's an original song. Let's Get Married would have fit in nicely on one of Shania's early records, while The Very First One channels classic 70s country, with a hint of Dolly. Overall, if you like country music you'll like this record. You should buy it, and support independent music. She apparently hasn't released any official videos for the record yet. The video for Damn Chicago below is a few years old, but it's essentially the same song. This is the video that sold me on The August, and Jacky.